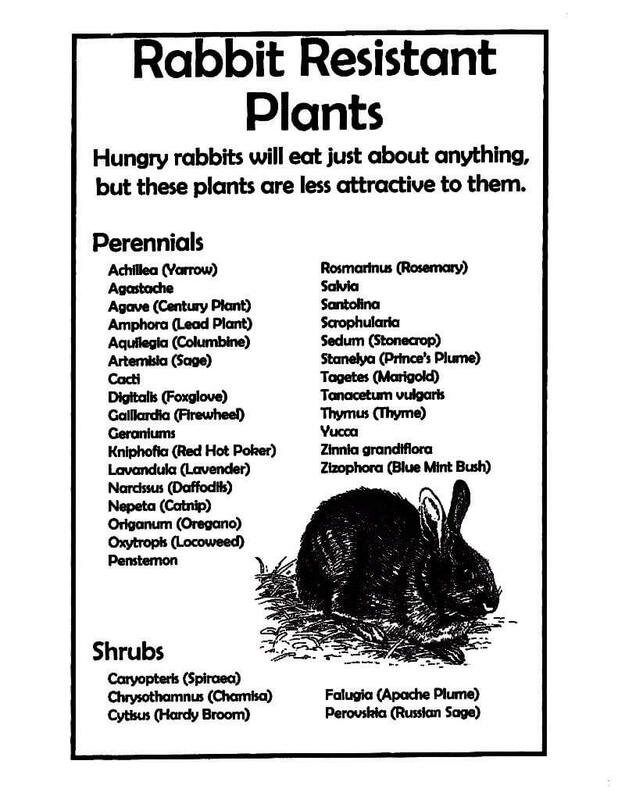 Rabbits tend to feast on plants, making your garden less robust. There are plants however, that rabbits will avoid and keep your garden looking healthy. 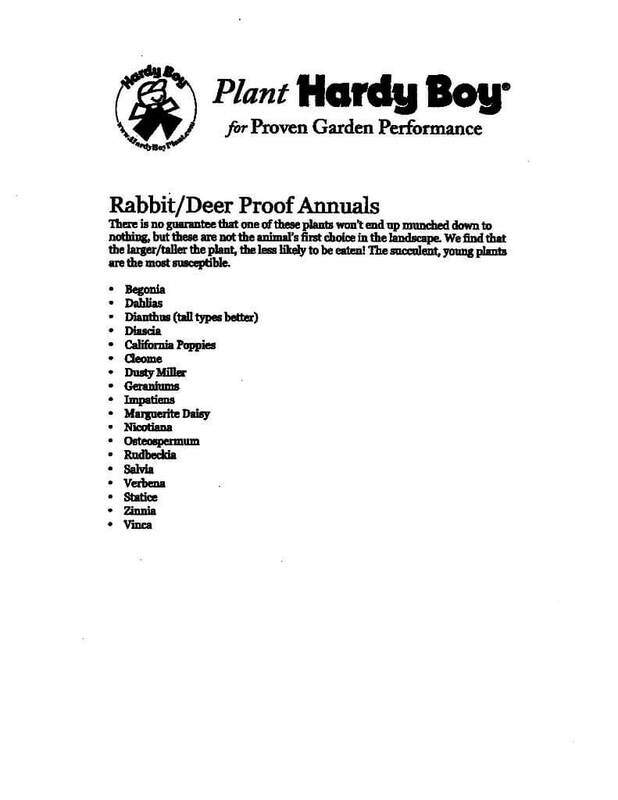 In the image below you'll see many rabbit and deer resistant plants.